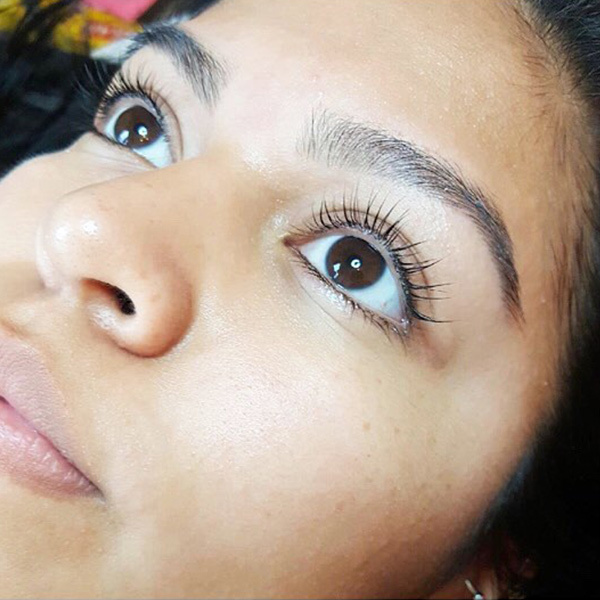 Parlor Beauty Bar offers Eyelash Extensions, that feel and look so natural you’ll forget you have them on but everyone else will notice! Choose between classic, hybrid or volume. Parlor is the only Novalash certified studio in downtown Austin, TX. We also offer lash lifts and lash tinting – for those natural beauties who want to enhance their natural beauty. Get time back and look fabulous with a classic set! All Parlor Beauty Bar Lash Artist have a minimum of 3 years experience and are deemed to be skilled at the most advanced level. Don’t trust your lashes with just anyone! If you cancel your appointment with less than 48-hours notice or are a no-show, your credit card will be charged for 100% of the total service price. Volume lashes are more versatile than classic lashes in a sense of achieving either a full or glam look. They have a more fluffy and full appearance. Mega Volume lashes are more versatile than classic and volume lashes in a sense of achieving either a full or glam look. This service is for all new Parlor Beauty Bar clients that have had lash fills serviced at another salon. Because we never know the work of another artist all new lash clients must start with a ‘new client’ appointment. This service is only for current Parlor Beauty Bar clients. Fill prices are assuming you have approximately 50% of your extensions remaining at the time of fill. Less than that will be considered a full set application. *If you have lash extensions previously serviced by another salon and need a fill, please book NEW CLIENT : 2 Week Fill. I confirm that I’m an existing Parlor lash client. This service is for all new Parlor Beauty Bar clients that have had lash fills serviced at another salon. Because we never know the work of another artist all-new lash clients must start with a ‘new client’ appointment. Volume lashes are more versatile than classic lashes in a sense of achieving either a full or glam look. They have a more fluffy and full appearance. 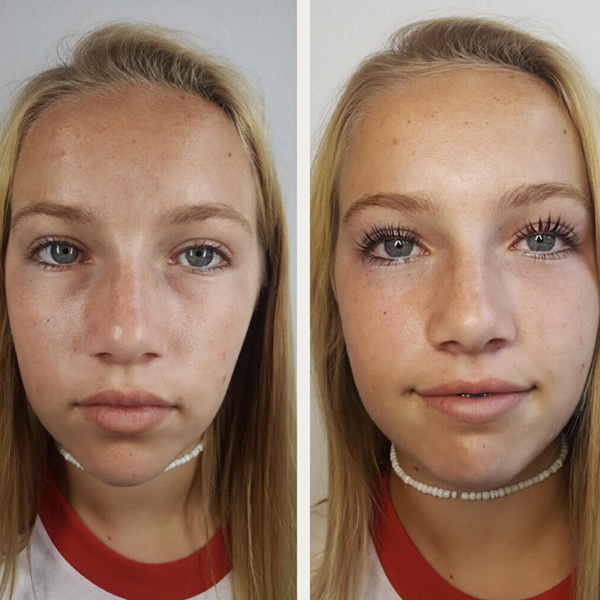 Save $5 when you book a lash lift and tint together! A lash lift is a chemical service that adds curl to your natural lashes. The service takes one hour plus the time for the lash tint. Lash lifts work best for people who have naturally long lashes that are straighter in shape. Lifts last 6-8 weeks and come in 4 different curl sizes. You will need to avoid excessive steam and ALL eyelash curlers for 2 months after having this service done. Tint your lashes and give your eyelashes more definition. 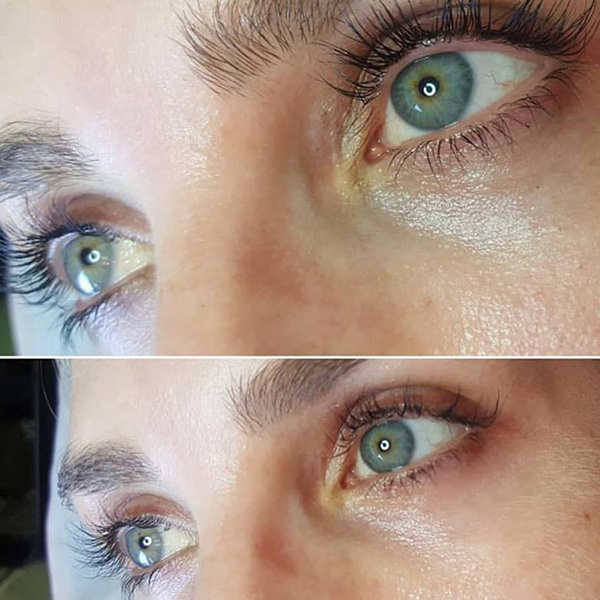 A lash lift is a chemical service that adds curl to your natural lashes. The service takes one hour, and pairs well with a lash tint. Lash lifts work best for people who have naturally long lashes that are straighter in shape. Ready for a fresh start? Schedule your lash removal today. ***Never attempt to remove your lashes yourself. 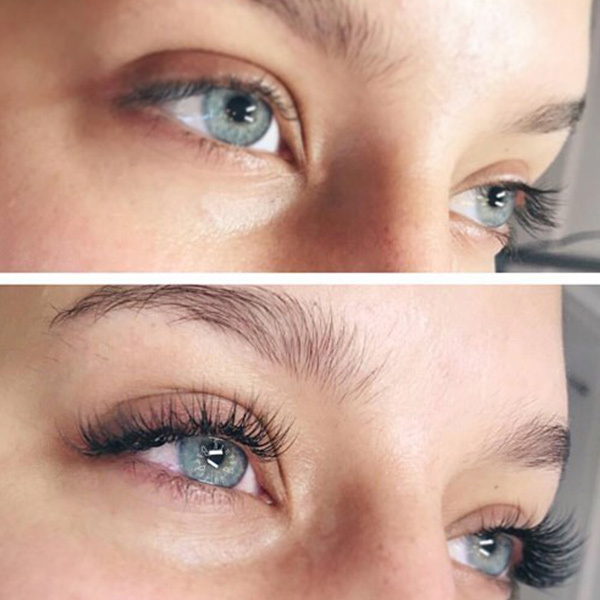 "So Jessica has been doing my lashes for a while now and I am so beyond impressed. Her attention to detail and her patience really shows and I always get compliments! I've also gotten a few blow outs from her and let me tell you, not only do I really appreciate how she listens to my concerns, very few people can put as much body in my hair as she does. Much love!" "I've considered getting eyelash extensions for several years. I recently decided to make the jump! Entering Parlor Beauty Bar, I immediately experienced the inviting and super cute aesthetic of the shop and a warm, friendly greeting from the owner, Charlotte. I had many questions about the eyelash extension process, and Charlotte was super patient and more than happy to answer every question. My hesitation for the service quickly shifted to a comfortable and confident decision, and I made the appointment! Megan is the shop's lash guru. She is down to earth and listens to what the customer wants. I wanted a truly natural look, and Megan provided just that. 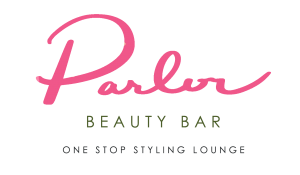 I highly recommend Parlor Beauty Bar for any of your beauty needs!" 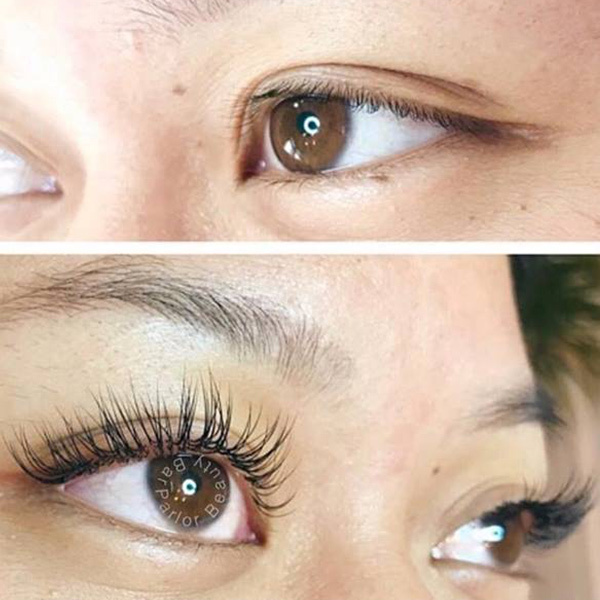 "I've been here twice now- once to get a full set of classic lash extensions and once for a fill. I'm hooked! Megan is so awesome and very meticulous in her work. I have fallen asleep both times that I've gone because you can barely feel your eyelashes being touched. My eyelashes were still looking good by the time I went in for my 2 week fill. I asked to go slightly thicker than last time and she did exactly what I wanted. I was scared to get my lashes done in the first place for fear of a bad reaction or one of the many horror stories, but the people at this place really know their stuff and they're so attentive! So glad I found PBB." "I LOVE Parlor! From the very second I walked in, I knew it was my new go-to Beauty Bar! It's an adorable venue with the cutest wallpaper and decor. Literally, house goals. Also, the staff is so fun! I felt like I was at a Girl's Night when they were doing my blowouts! Also, I signed up for Eyelash Extensions there and they do an AMAZING job. I have recommended this to many friends and will continue. Love this place." 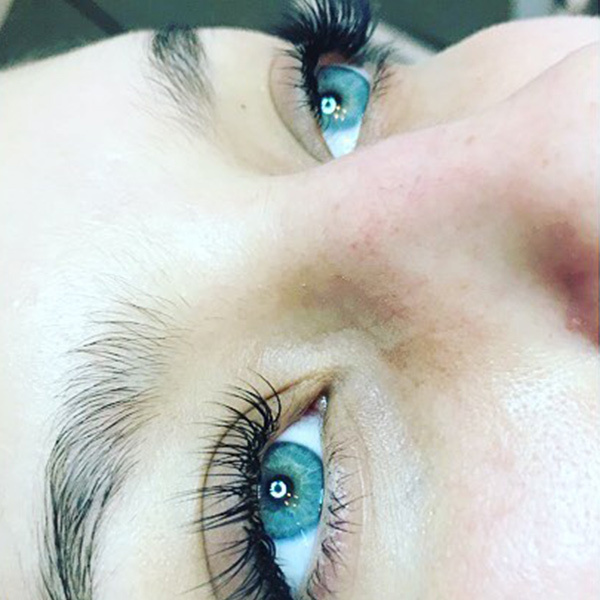 "Went to Parlor Beauty Bar for lash extensions last week and I am in love with them!! They look so awesome, and the studio was soooo cute and instagram worthy!" "Five stars all the way! If I can give more I would! I came in for the first time for eyelash extensions. Parking was a breeze and is free until 6pm. I was greeted warmly by Kelsie while she was doing a blow out, then was checked in by the lovely Charlotte. I waited 5 minutes for Megan while she was finishing a client, who left very happy and satisfied. Megan was precise, gentle and efficient. She is also really nice and sweet. I would definitely go back and see her. I highly recommend Parlor beauty bar for all their service. I've used Tracie for a spray tan before she started with Parlor and she did an amazing job. It looked so natural and she uses products that doesn't harm the skin. Book your appointments now!" "By far my favorite set of lashes I’ve ever had! Jessica did an amazing job! They were so full but still natural enough so I didn’t look crazy without makeup! 10 our of 10 recommend!💖"
"Step 1 of picking a beauty salon is to go somewhere that feels beautiful. Parlor Beauty Bar nails this. It's so gorgeous. I have nice lashes naturally (#blessed) but when Parlor ran a special on eyelash extensions, I decided to go for it. My main concern was harming my natural lashes because I knew I couldn't afford to make this a forever beauty treatment. Megan was fantastic at explaining her approach to extensions and how they work so I felt really comfortable. The result was amazing. She warned I would get addicted. She was right. I loved them!! !The friendly staff, cute environment, and quality services keep me coming back! Great find!" 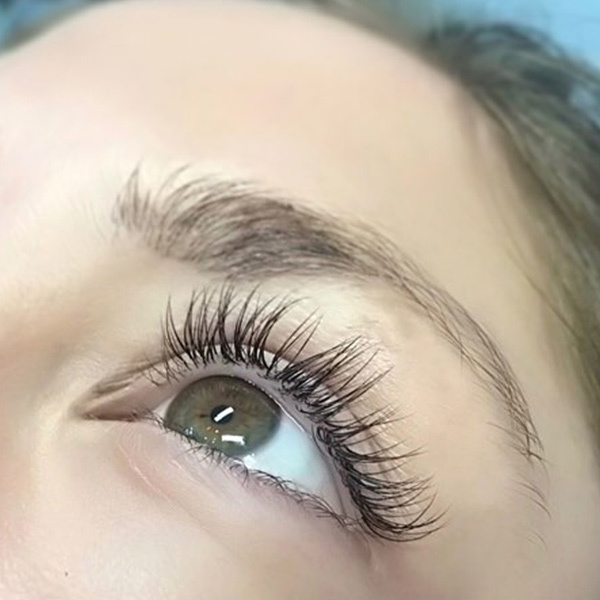 " I've been to Parlor Beauty Bar for one set of lash extensions, plus a fill. Both times were with special deals they had on instagram, so I've yet to pay the full price, but I so would! Megan is the best. The BEST. She really takes care of you and your lashes and they look absolutely fabulous. I've been getting such great compliments of people asking if these are my real lashes and they are shocked when they find out they aren't because they look "so natural" that's what I love about them. I will be heading to Megan for my lash needs for a while for sure. The thing I love about the lashes is that I really do wake up and feel like I don't need an ounce of makeup on (maybe some blush and gloss) but that's it. I feel great every day 🙂 "
"Megan is my go to for my lashes! Super sweet employees Once you walk in you feel at a beauty bar! Service is always on point. Best way to support local austin shops!!! Music is always on point." "My girlfriend gets her lashes and spray tan done here. I have to say that they are very professional and organized. It’s easy to get an appointment and most importantly everything she’s had done has lasted, so they use good quality products as well! The inside has a cozy feeling to it." How long does the process take ? Microblading is a form of semi-permanent make-up. It’s more superficial than tattooing. Through the manual process of inserting pigment into the upper layers of the skin, we’re able to create the desired fullness and shape of the eyebrows. The strokes of pigment we implant imitate eyebrow hairs, appearing crisp and extremely fine, perfectly mimicking real hair. The results can last up to 12 months (or longer with regular touch ups.) Results look natural and flawless. MicroBlading results can last 12-18 months with regular touch ups. 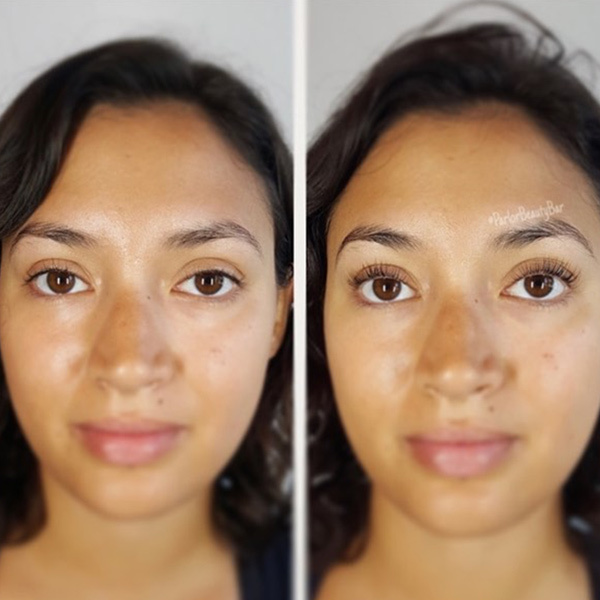 Your Microblading procedures are broken up into two appointments; the initial appointment and then a Parlor Perfecting Session 4 to 8 weeks later. 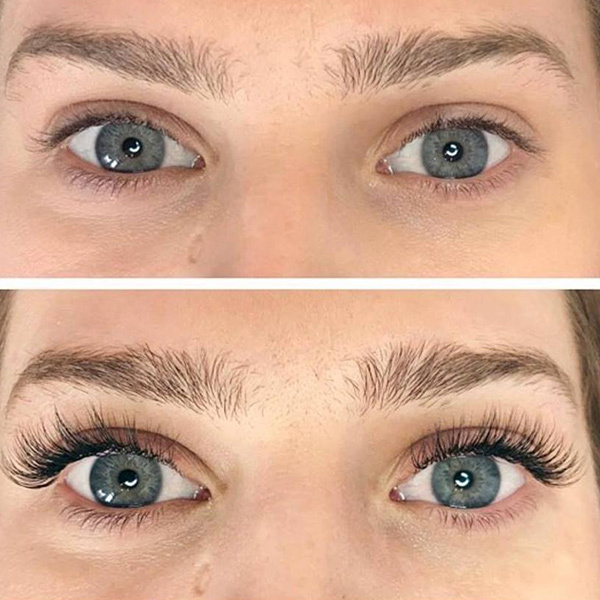 What do I need to do before my lash extensions? – Do not take aspirin, ibuprofen, blood thinners, or drink alcohol 24 hours prior to and after your appointment. Can I wear any type of mascara with my lashes? Please allow up to 3 hours for your first microblading appointment to be completed. Most of this time is spent allowing the numbing cream to take effect and talking about the specifics. After the procedure is done, we will then discuss aftercare instructions. Also, we’ll take some before and after pictures of your new look. How often do I need to maintain my lashes? The Parlor Perfecting Session will be scheduled when you arrive for your initial appointment. We schedule Perfecting Sessions 4-8 weeks after your first session. The time between appointments gives the skin time to heal and lets the color settle into the skin. The second appointment will not take as long; plan on about two hours. Our Microblading Specialists will see how your skin has retained the pigment and make any adjustments to color or shape as needed. They will also go over some strokes to ensure the best possible retention. To sum it up, really this appointment is exactly as described- it’s all about the perfecting of your new brows. Can I remove my lash extensions when I dont want them anymore? There is some discomfort associated with Microblading, numbing cream and gel are used liberally throughout the procedure and it’s more uncomfortable than painful. Most clients describe the pain as being similar to tweezing or waxing. Your Microblading specialists will continually check on you to ensure you’re comfortable throughout the procedure.